Middle School: How Can We Sense So Many Different Sounds From A Distance? Listings > Middle School: How Can We Sense So Many Different Sounds From A Distance? Unit submitted by Next Generation Science Storylines. As indicated by the version number, this middle school unit is in ongoing review and revision and the version posted online at the submitters website may differ from the one that was reviewed and is posted here. In this unit, students start by observing a perplexing phenomenon. When a sewing needle taped to a cone, is dragged over the surface of a plastic disc that is spun underneath it, voices and musical notes can be heard coming from it. This leads students to start wondering about other sound related phenomena, which in turn leads to wealth of new questions about 1) what causes different sounds? 2) what is traveling from a sound source to our ears? 3) How do we hear and why do we hear things differently in different places? 4) and how do electronic devices (digital sound sources) produce and detect sounds? To access and use the assessments, rubrics, and answer keys for this unit, send an email with your request along with verification that you are an educator and not a student trying to search for the answers to nextgenscistorylines@gmail.com. This unit, formerly named, "How Can We Hear So Many Different Sounds From Across the Room," was previously reviewed by the Science PRP and was posted as a "Quality Work in Progress." 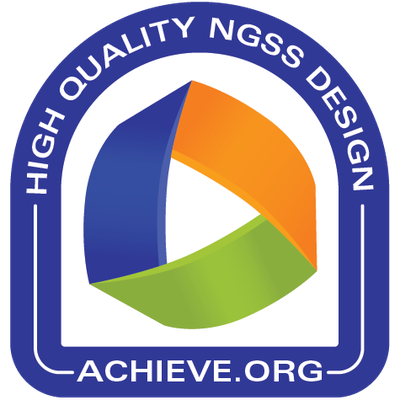 Using the feedback and suggestions for improvement provided in that first feedback report, the authors revised and resubmitted this unit and it has now earned the highest rating, "Example of High-Quality NGSS Design." Please see the older version of the unit materials here, and the first Science Peer Review Panel Feedback Report here. Hi Michael! Great point -- the assessments are available upon request (so students can't google it) if you email the NextGenStorylines folks here: nextgenscistorylines@gmail.com. Hope that helps!